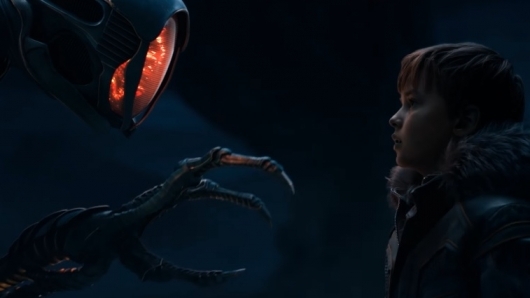 A new featurette for Netflix’s upcoming Lost in Space reboot titled “The Robinsons’ Journey” has been released. The featurette includes some of the cast and showrunner Zack Estrin talking about the show alongside various clips. Starring is Toby Stephen, Molly Parker, Taylor Russell, Mina Sundwall, Max Jenkins, Parker Posey, and Ignacio Serricchio. The series is written by Matt Sazama and Burk Sharpless. Read more about Lost in Space and watch the new featurette below. “Danger, Will Robinson!” Netflix has released an lengthy all-new trailer for their reboot of Lost In Space. Based on the iconic 1965 show of the same name, the Netflix version will have an all new story, that comes with a very expensive visual effects price tag. In it we see the Robinson family space crew, plus the villainous Dr. Smith (Parker Posey), get lost in space while trying to find a new planet to colonize. Check out the latest trailer below.